Men and their tools. 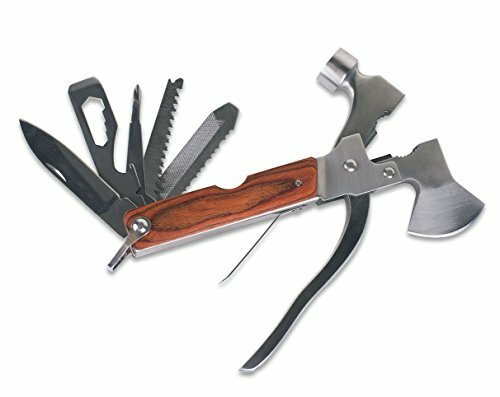 This is a list of cool multi-tools that men love and your guy will sure love too. 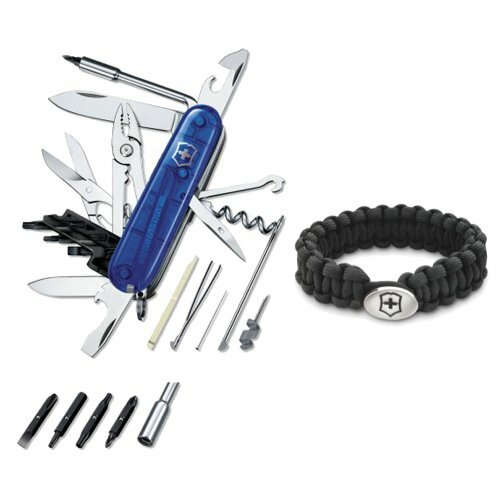 All of these gift ideas are small enough to fit in his junk draws all around the house and hopefully cut down on your guy running around the house trying to find that certain tool. Or we know that some of these tools will be great to have handy in the car as well. 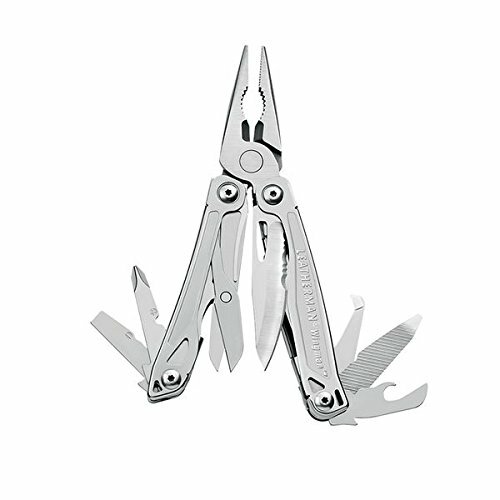 Top Gift Guides has got you covered here for all the top multi-tools that men will love to have in their collection. One thing is for sure he will love these tools and you will too because you don’t have to spend a fortune for them to bring a smile on his face. 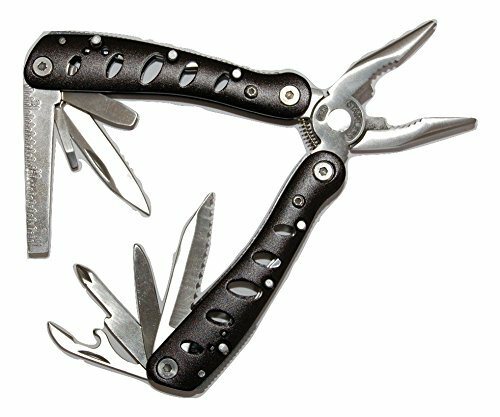 Spring loaded pliers, screwdrivers, pocket knives, bottle opener, etc… This little tool has so many uses that it will keep you up all night coming up with new ways to use it. This is a tool that will please almost anyone (some people can’t be pleased) because it is so versatile. Crafters, fishers, campers, hunters, geeks, everyone will find a use for it. It comes in a handy pouch to keep it clean and dry when not in use. This is the size of a credit card but much more sturdy! It comes in its own pleather case. 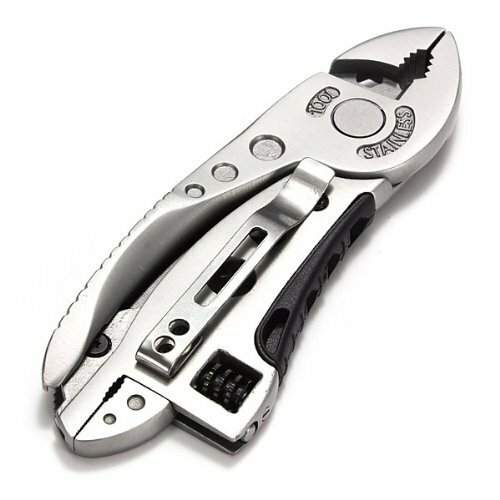 This has several types of wrenches, a screwdriver, a bottle opener, a small saw or fish scaler, and it is compact enough to carry in your pocket or even your wallet. Spend a little time practicing using all of the various tools and amaze your friends the next time you see them. Multi-purpose screwdriver and wrench set. This includes two different sizes of pliers, several screwdriver bits, even a utility knife. This set will help keep the kids amused and teach them life skills putting together the build it yourself furniture. This is one of those tools that is useful to keep in the car or emergency kit. A Swiss Army knife that has morphed into a cybertool. It even includes a survival bracelet that can be unwound and used as rope or fire tinder in an emergency. This cybertool has 30 plus tools, that is around 25 more than the average human will ever use, but having all of the extras makes people feel as if they are getting more for their dollar. This set even includes things like an itsy bitsy set of tweezers and a pen. Toothpick, tweezers, bottle opener and a knife all stored neatly inside a slim credit card sized holder. This is a great way to carry just the basics easily. The tools are the basics, but they are needed on a daily or weekly basis. This is a stylish and classy way to carry a small knife without wearing a bulky one on your belt. It doubles as a survival tool because sometimes you want to open that craft beer easily, without chipping the veneers off your teeth. This is the classic pocketknife. It has just the basics that are all that most people need. There is a small knife blade, a screwdriver, a file and a pair of scissors. Add a roll of duct tape and you have a complete kit of needed tools. This is the perfect knife for the minimalist. There is just enough to make this knife worthwhile without being over the top or overdone. It can be clipped onto their keyring to keep it handy or they can toss it in the glove box. They will thank you whole-heartedly instead of asking what are they supposed to do with all this stuff? This is a classic tool. 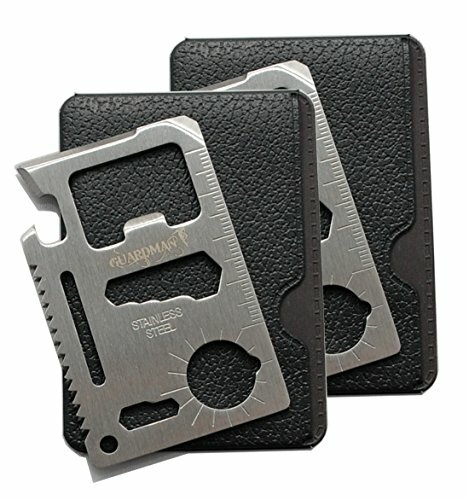 The wingman has 14 different tools. There are two sets of pliers, both needle nose and regular. There are wire cutters, a wire stripper, scissors, package opener, a ruler, a bottle opener, a can opener, a file, and several screwdrivers. Camping friends and family are going to love this tool. It is so many tools in one! There is a hatchet, screwdrivers, a file, a hammer, pliers, bottle opener, hex wrench, wire cutters, and more. This tool will take the place of a bulky toolbox. If you are looking for a way into a person’s heart, this is the tool to get you there. They will think of you and thank you every time they use it. You are looking for a gift to give your bicycle crazy friend and don’t want to settle for buying them a cheesy water bottle. 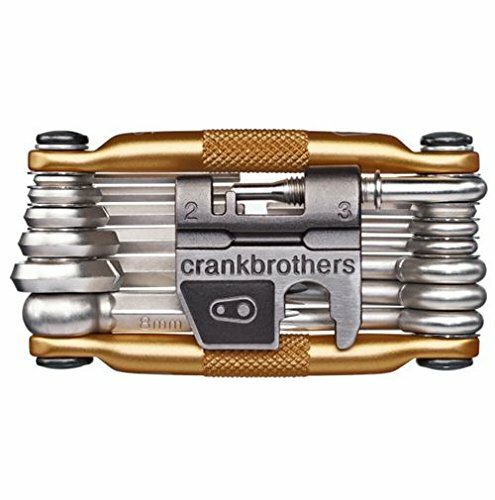 This is the most unique set of tools that you can give a true cyclist. There are spoke wrenches, screwdrivers, a universal chain tool, etc… The creators claim that there is every tool needed to do everything short of building a bike from scratch. Cyclists are sure to drool over this 19-tool multi-tool. 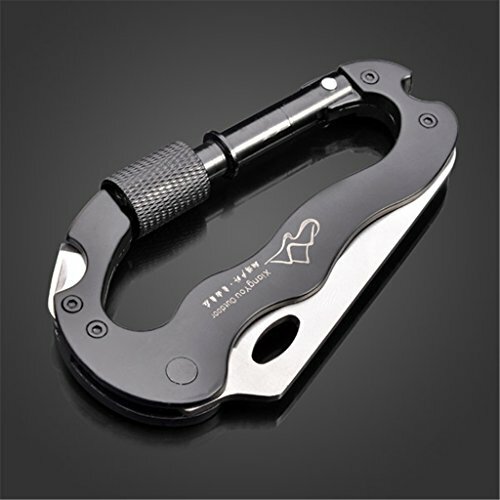 This carabiner has many functions. Use it as a quirky belt buckle. Use it as a phillips or a straight screwdriver. Use it as a bottle opener or even as a saw or knife. This can clip onto your pack so it doesn’t get lost in the bottom of a pack. 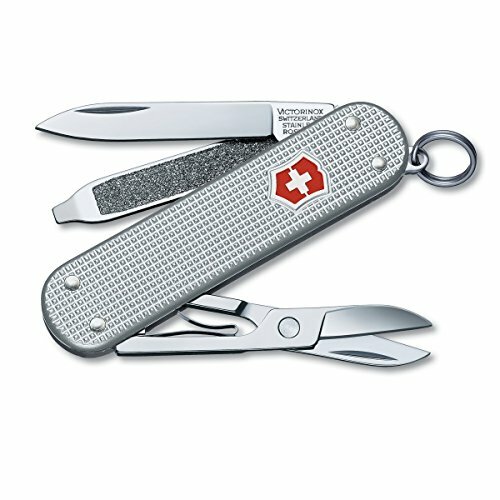 It is a great multi-function tool to take along because it includes the basics needed when camping. Granted, this won’t allow you to chop down a tree and doesn’t have the fancy teeny tweezers found in some other fancy multi-tools, but this is a good and light weight option. 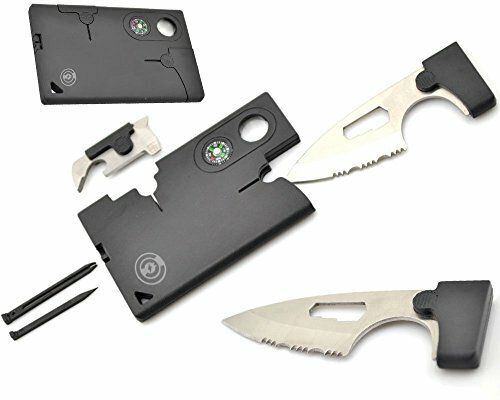 This multi-tool double duties as a wallet! It has an elastic band to keep your cash and cards contained. 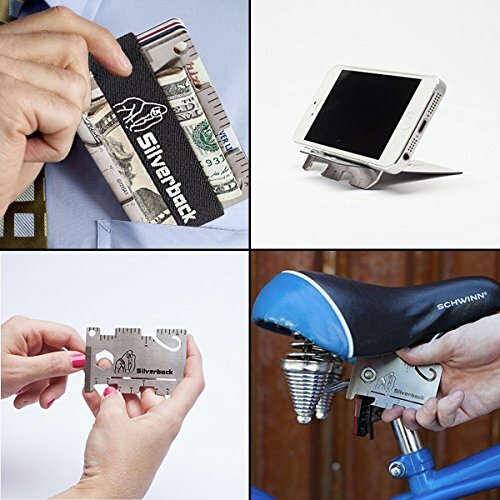 The wallet itself can be used a phone stand, various wrenches, a bottle opener, and since it takes the place of your wallet, you save space. Be the coolest guy on the block with new and innovative way to carry your cash and cards. You will always be prepared for McGyver situations when you have this in your pocket instead of a plain wallet.